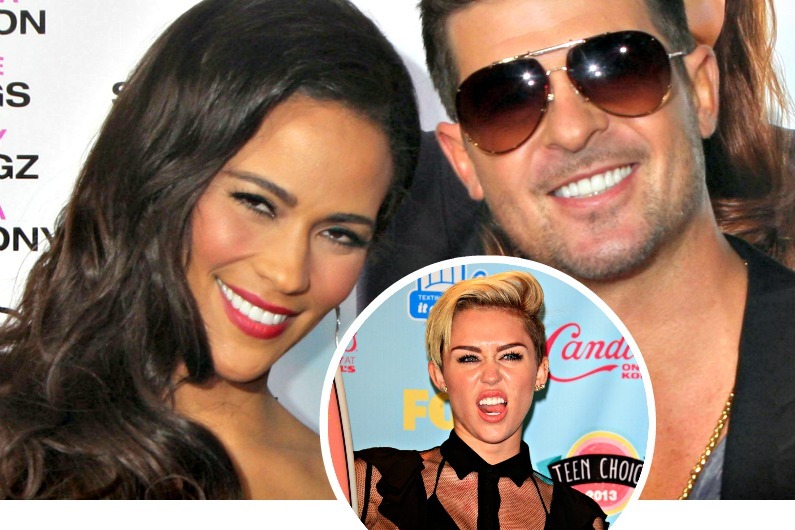 Paula Patton called her husband, Robin Thicke, last week and told him that it was over. Of course, the first thing he did was jump on a plane to Canada where she was filming to try and convince her otherwise, but it didn’t work. She stayed strong and told him to go home. TMZ caught up with Robin Thicke at the airport to see what was up and Thicke, with a huge smile on his face like nothing was wrong, told them he was going to try to get his wife back . He also said that Miley Cyrus and the explicit sexual performance at the VMAs had nothing to do with it. But would Paula agree with that? Other sources have quoted Paula as saying she felt “utterly disrespected”. Was Thicke a fool to think that she would stick around for long with public antics like that? Since then Paula has been going about her life, even attending the Vanity Fair Oscar Party on her own and looking like a ray of sunshine at the 2014 Film Independent Spirit Awards. Thicke has been very public about his attempts to get her back, even singing “Lost Without You” for her at his last concert and telling the audience that she’s a “great woman”. But Paula is no dummy. She’s carefully watching his performances, she is aware of what after parties he’s going to and who he is hanging out with, and she’s watching for the photos that appear in the media. As the old saying goes, “Action is louder than words,” and Paula is now watching to see just how serious Thicke is about changing his ways and showing that he loves her. Thicke seems pretty serious about making it right with her but only time will tell if he can convince her of that! just as Barbara replied I'm amazed that a student can earn $9412 in four weeks on the computer .